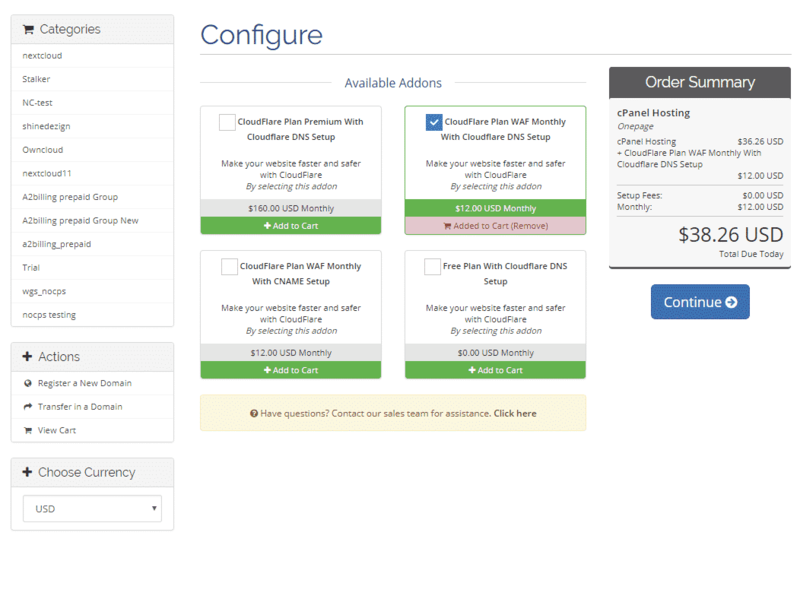 A hosting provider can set different plans (like Free, Pro, Business etc ) as a product addon or a different product. 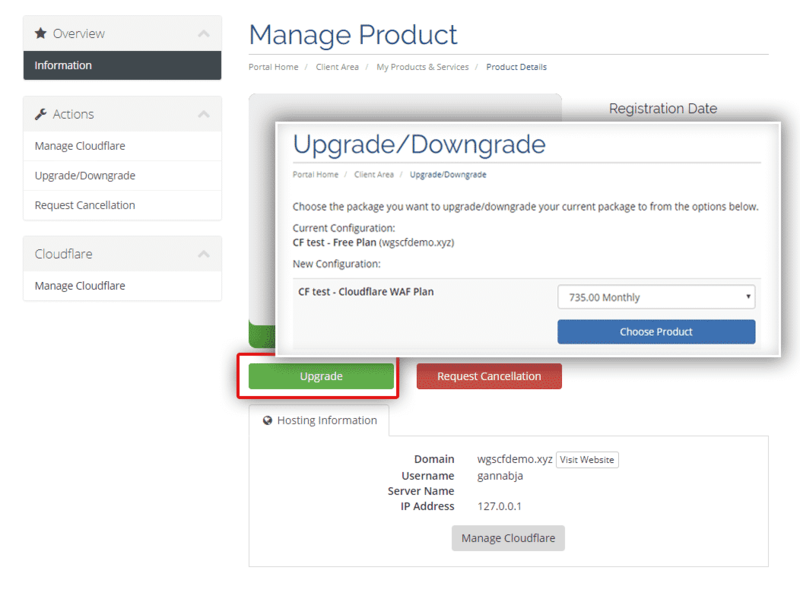 Now,with our module your user can upgrade or downgrade their plan anytime and then it will get updated without experiencing any downtime both in WHMCS and Cloudflare accounts. 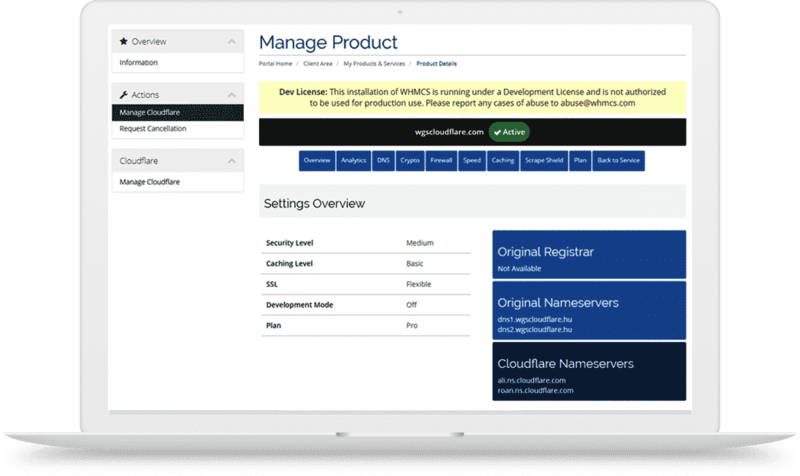 With our user friendly User interface, your users can manage the DNS easily. 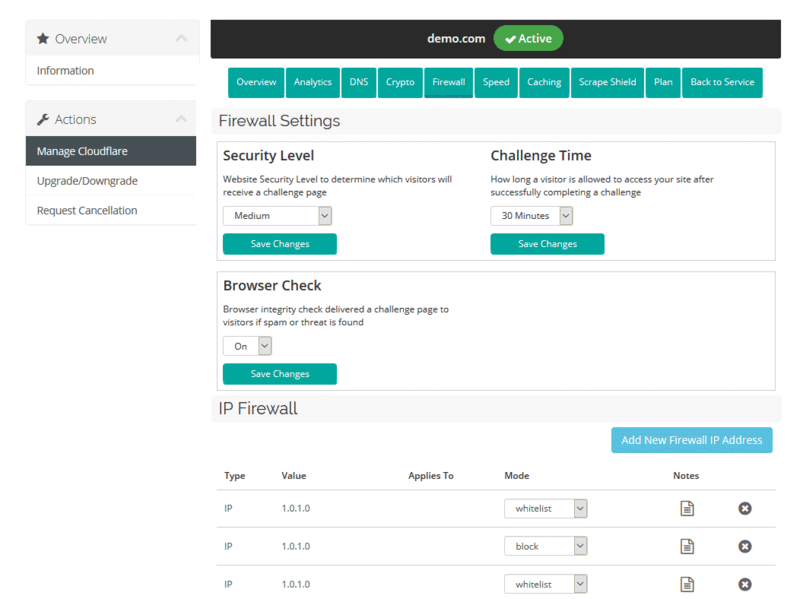 They can either add, edit or update the DNS records anytime without having any advanced tech knowledge. 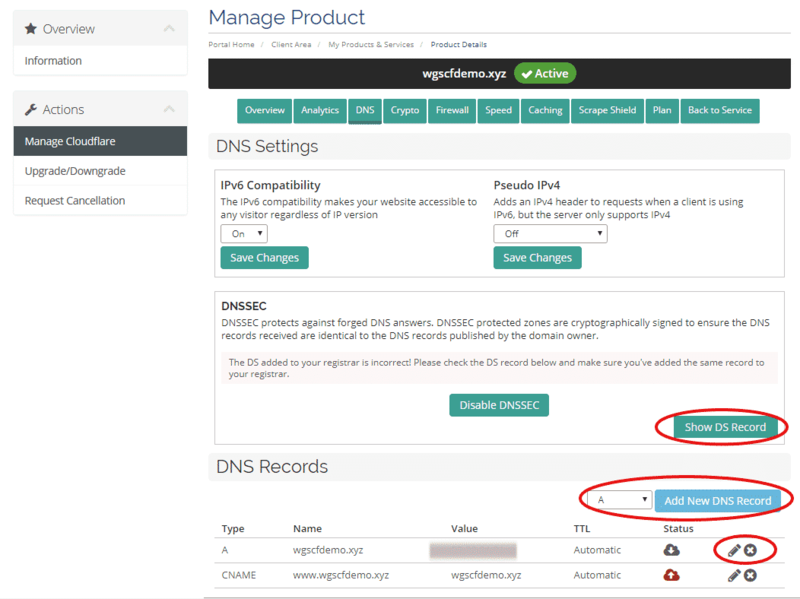 Your users can also enable or disable the DNSSEC section and they can view the DNS record. 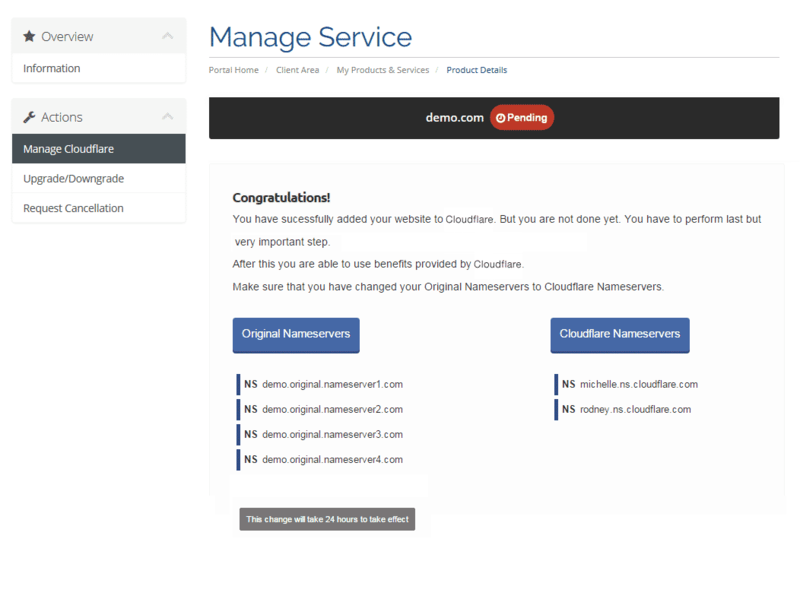 Once user has purchased your product or addon service their domain will be added in your partner account. 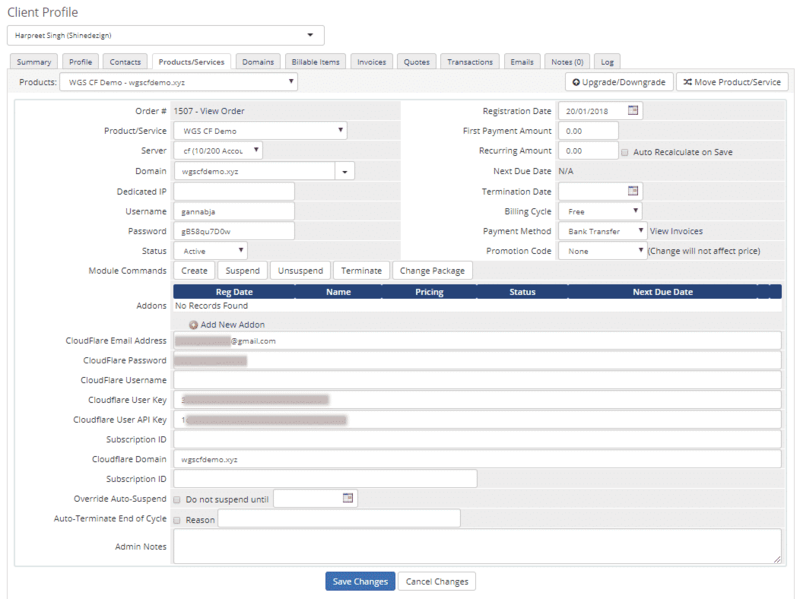 The beauty of our module is it will automatically update nameserver on your registrar portal and user will not have to manually update nameserver. 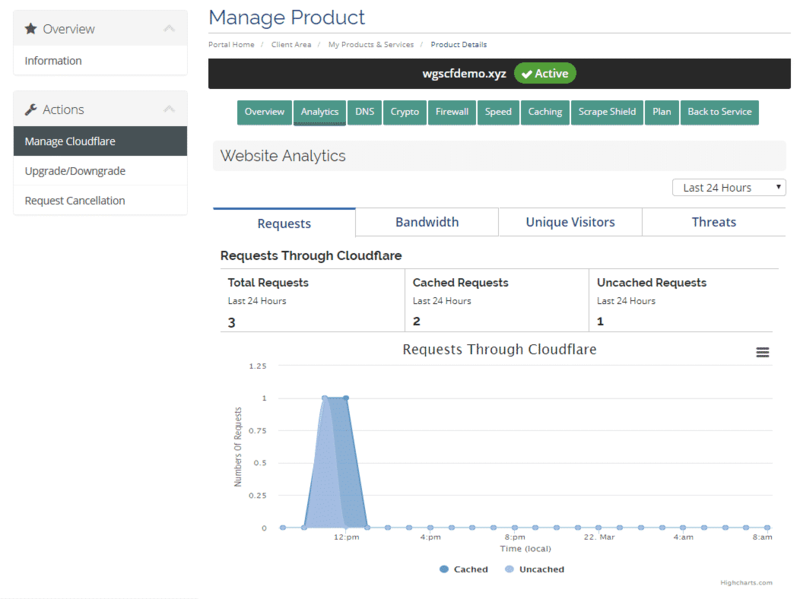 In our module, there is a Quick overview section where a user can easily view their nameservers, current plan etc as well as with analytics user can view traffic, bandwidth and other stats in GUI. 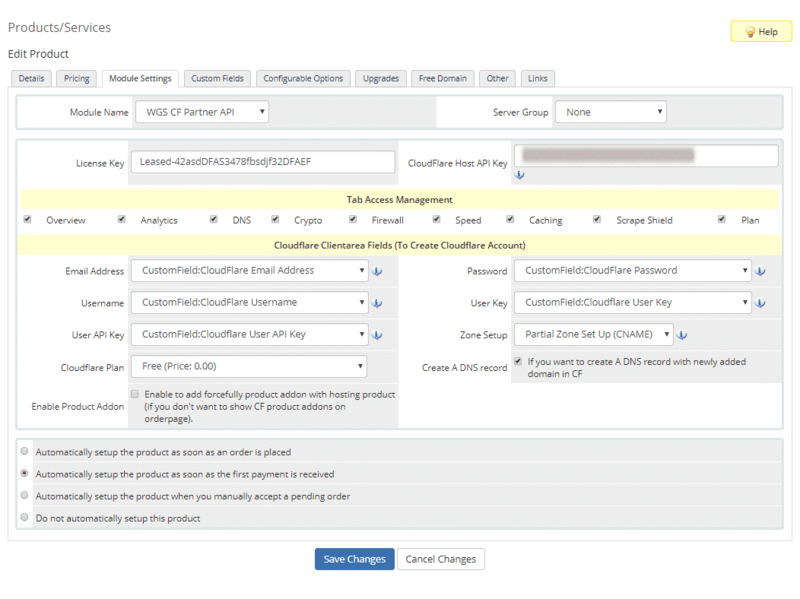 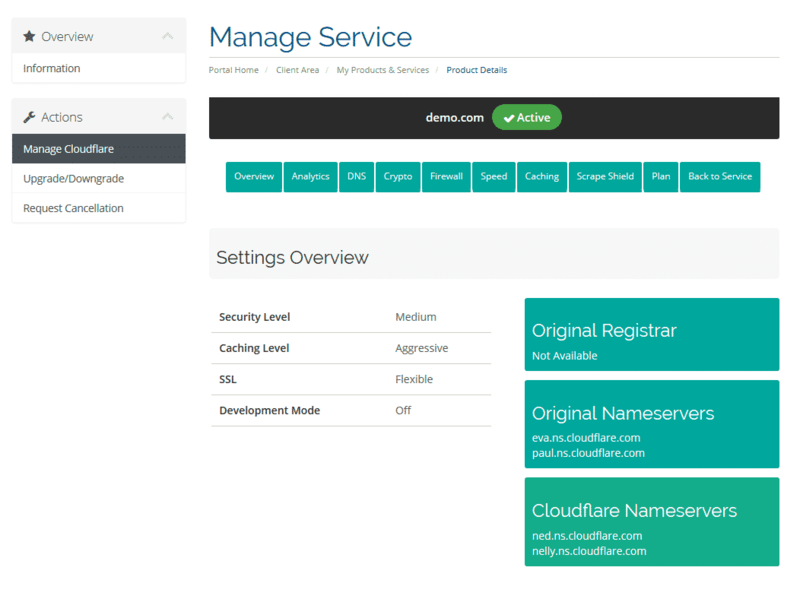 With this, your user will not have to login to cloudflare and they can manage everything within WHMCS client area. 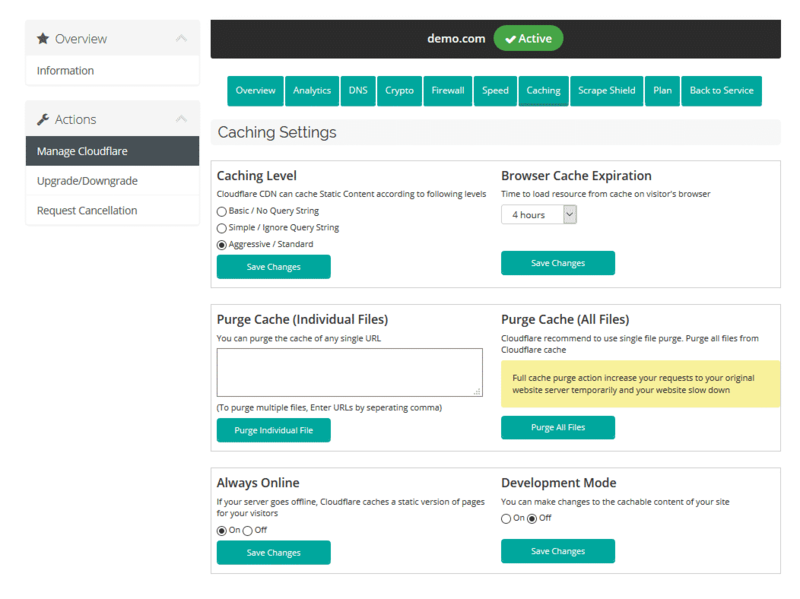 It will be easy for them to manage firewall settings, Cache setting, Manage speed and many more like scrape shield, crypto settings etc. 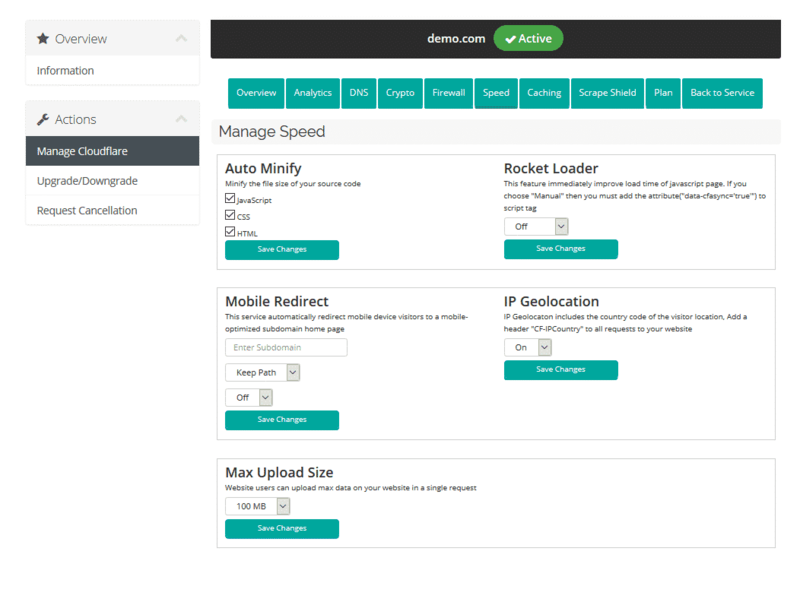 GIve extra free universal SSL feature within your WHMCS . 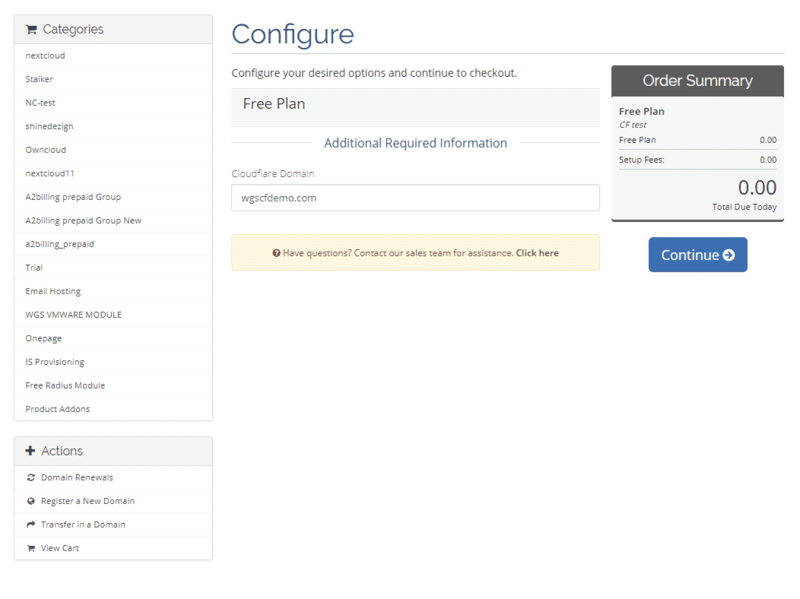 Option to upgrade the plan with premium service.